With the availability of mobile broadband growing in the US and Canada, consumers are demanding consistent access to a variety of online services, which will push mobile data usage up by 40% annually by 2021, the latest Ericsson Mobility report says. After looking at mobile trends in North America, Ericsson found that mobile video consumption drives nearly six times higher traffic volumes per smartphone in the region. Considering the above and the rising number of smartphone adopters, Ericsson predicts that by 2021 total mobile data usage will exceed 9 exabytes per month, equivalent to 900,000 copies of the total printed collection of the Library of Congress. 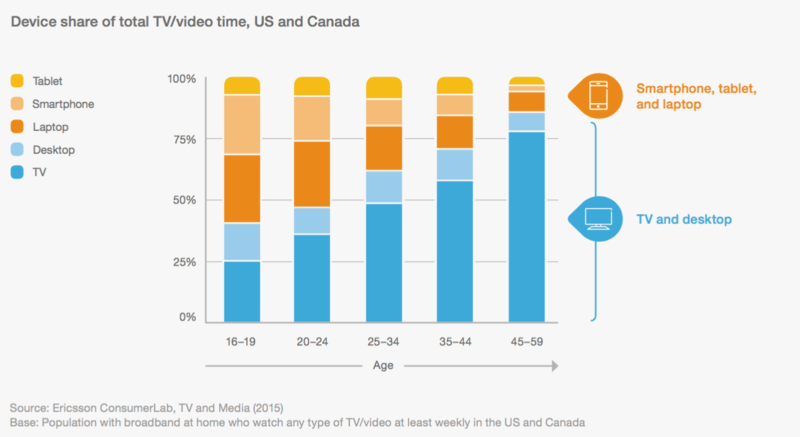 Mobile video use is even more pronounced among consumers aged 16–19. Nearly two-thirds of this age group’s TV/video viewing hours are spent on mobile devices, compared to one- fth for those aged 45–59. Over 55 percent of users watch short videos on a weekly basis, meaning that it remains the most popular video category. 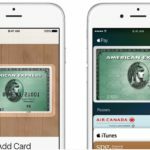 However, long formats such as full length movies are gaining popularity, with over 30 percent of users watching them weekly via a mobile device. Smartphone users in the US consume signi cantly more mobile video data compared to other countries, with 30 percent of smartphone video data on cellular networks. However, Wi-Fi remains the top access method for TV and video, representing 70 percent of total smartphone data in the US. Between 2015 and 2021 smartphone subscriptions will increase by 45% in the US and Canada to 410 million, but if we add to that figure mobile PCs, tablets, and mobile routers, the total mobile subscription is estimated to reach 470 million by that time. 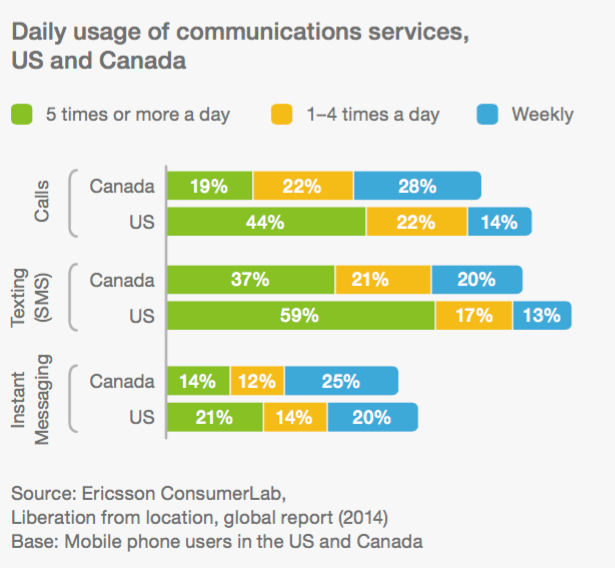 Almost 90% of voice calling in the US and Canada is done via traditional voice calls, rather than Over-the-top (OTT), and interestingly, SMS outshines IM services, claims Ericsson. 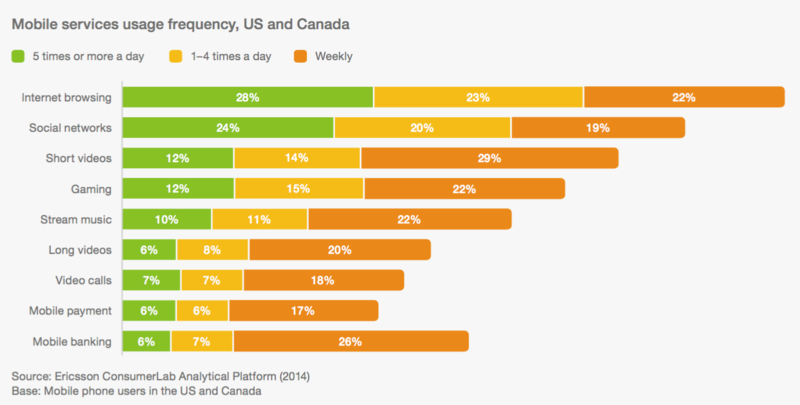 Around 60% of consumers in the US and around 40% in Canada text at least five times a day, which compares to the 20% of the same consumers using IM in the US and 10% in Canada. Ericsson predicts that by 2021 mobile data traffic per active smartphone in the US and Canada will be the highest among world regions, reaching 22 GB per month (currently is at 5GB/month/active smartphone), driven by technology advancements such as higher-resolution screens.